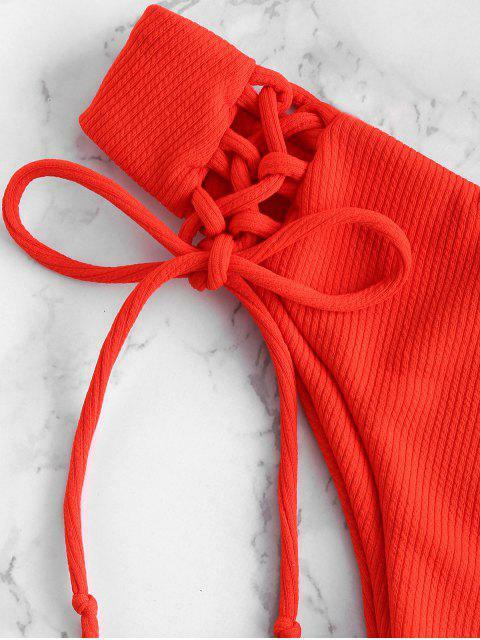 [34% OFF] 2019 ZAFUL Ribbed Lace Up Tied Bikini Set In BRIGHT ORANGE | ZAFUL .. I am 5’5”, 125lbs and 32C or 34B. Ordered small. Fit perfectly. Adjustable bottoms are great (usually M or pant size 1). Top is not adjustable (usually a S or M). Not too cheeky. Amazing quality. Would definitely purchase again.